Mayor Rob Ford’s hand-picked executive committee voted to rescind the five cent bag tax, but it’s highly unlikely city council will back the decision next month. Instead, council appears poised to expand on the intent of the bylaw and develop a communications strategy that would encourage major Toronto retailers to donate bag fee proceeds to Toronto’s tree canopy program. Berardinetti advocated for the staff-endorsed tree canopy strategy, which executive approved. Executive also asked that any communications strategy encourage retailers to prominently display how much of the fee revenue they are donating to the tree canopy program. According to a staff report, Toronto businesses collectively take in about $5.4 million annually from the fee, which David Miller’s council passed in 2008. But staff estimate only about $270,000 could be raised annually for the tree canopy, since only a portion of retailers would likely participate. The city needs about $10 million per year over the next six years to execute its emerald ash borer tree replacement project. Speaking on behalf of the Canadian Plastics Industry Association, Marion Axmith said the fee “unfairly portrays plastics and its products as an environmental problem” and the industry resents having the tree canopy issue connected to plastic bags, which can be recycled in Toronto blue bins. Axmith added that many retailers already direct fee revenue to charities and that implementing the tree canopy requirement would take money away from those causes. Loblaws, for example, is a big supporter of the World Wildlife Fund. Berardinetti says all are worthy causes, but the money should be put toward causes that directly benefit the people paying the fee. Contacted earlier in the day, David Wilkes, the senior vice-president of the Retail Council of Canada’s grocery division, said consumers appear supportive of the fee. “Our members are in the business of serving consumers and we definitely aren’t hearing demand for change. People like doing their part to reduce landfill,” he said. 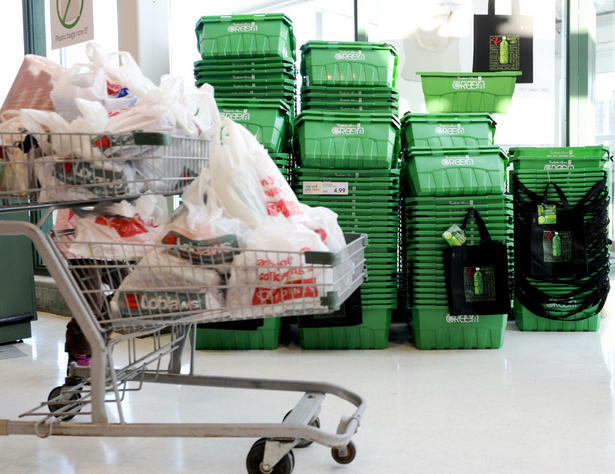 The mayor acknowledged that even if council rescinded the fee, many retailers such as Loblaws would continue to charge the five cent bag tax. Green EnviroTech Holdings Corp. (GETH.PK) tire and plastic to oil sample accepted by a Major Oil Company for purchase.